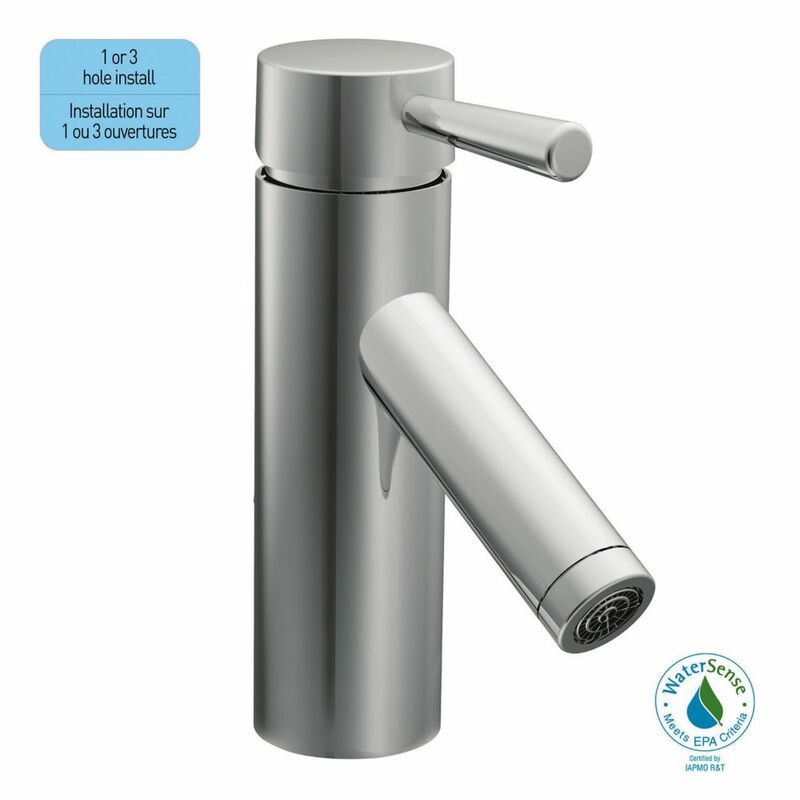 This new piece from Moen brings fresh water fast and adds a stylish look to any bathroom. Turn your bathroom into a stylish space with this single-control faucet. Its deck mounted design works well with many different sinks and is easy to set up. This WaterSense certified faucet saves water and money, but gives you the same clean. The Banbury collection highlights a timeless nostalgia for traditional versatility and sets a tone that is both classical and sensible. This innovative Spot Resist finish resists fingerprints and water spots to maintain the brilliance of the original finish and easily wipes clean. The Banbury roman tub faucet features a high arc spout that provides additional clearance. A full line of Banbury faucets and bath accessories are available to complete the look of your bath.